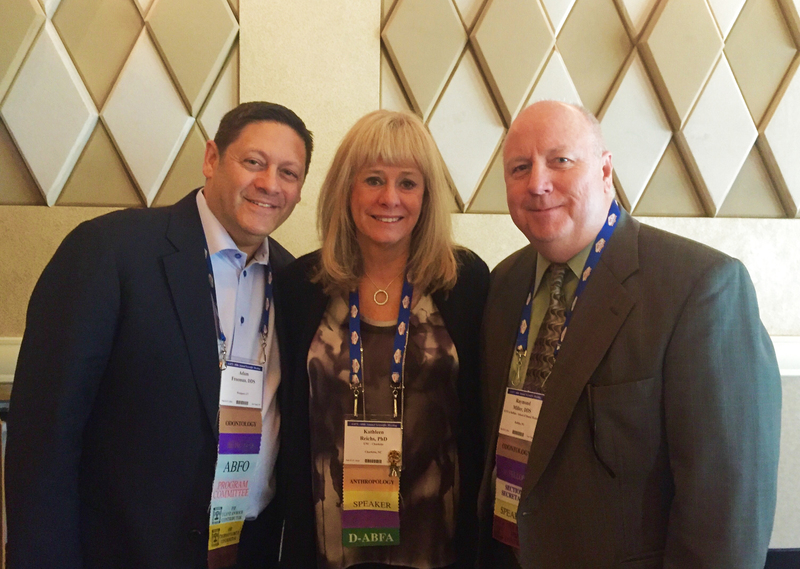 The 68th Annual Scientific Meeting of the American Academy of Forensic Sciences (AAFS) in Las Vegas fulfilled the opportunity to enhance our knowledge through continuing forensic education. It also gave us the chance to reunite with our colleagues from across the nation and the world. Our interactions make us stronger as a section and the knowledge we share makes us better prepared to navigate, with confidence, through our casework. Please continue to enrich us with your studies and experiences to help make all of us better in our practices by submitting abstracts for the 2017 annual meeting. As a section, we have made an important decision to discontinue the Friday morning tradition of the Thomas Krauss Memorial Bitemark Breakfast. We will continue to honor Dr. Krauss’s memory by naming one of our scientific sessions for him. This session’s theme will focus on abstracts dedicated to bitemark research and case reports. We are also investigating the possibility of dedicating a session to Dr. George Furst. In 1992, Dr. Furst started a Saturday morning session of the Odontology Section of the AAFS, which was primarily for new members of the AAFS to present their first papers. This Saturday morning session became known as “The Furst Word Society.” We do not plan on adding a Saturday morning session; however, either a portion of our scientific session will be dedicated to first-time presenters or a portion will be dedicated to the topic of dental identification. If anyone has any ideas or input, your recommendations are always appreciated. Kathy Reichs was the speaker for the 2016 Thomas Krauss Memorial Bitemark Breakfast (l to r): Adam Freeman, Kathy Reichs, and Ray Miller. The officers of the section will also perform a careful and systematic review of our current policies and procedures to make them current and effective for the proper administration and function of our section. These can be found on the Academy’s website (www.aafs.org/wp-content/uploads/MASTER-PPM.pdf), section 7.5.7, for your review, and again any input or suggestions are always welcome. As Section Secretary, Adam Freeman will chair the Nominating Committee. He, along with the three Past Section Chairs, will nominate and decide on our section’s award winners for 2017. Our section voted to clarify the award criteria and this information can be reviewed in the Policy and Procedure Manual referenced above in section 7.1.4.7. The nominating committee is interested in nominations from members; you may forward your nominations to drafreeman@westportdental.com. An updated list of forensic odontology courses that can be used to apply for section membership will be forwarded to all members and posted on the AAFS website under Other Meetings and Training Opportunities. Most who are reading this will not be in need of introductory coursework; however, it is a great resource for those inquiring about opportunities in forensic odontology. Passing this information along will go a long way in mentoring and developing new members for our section. I wish all of you a great spring and summer as you work tirelessly on your abstracts and presentations for the 2017 Annual Scientific Meeting in the great city of New Orleans!